2. In a medium bowl, combine grated cheese, flour, butter and ground black pepper. Knead until a ball of dough begins to form. 3. 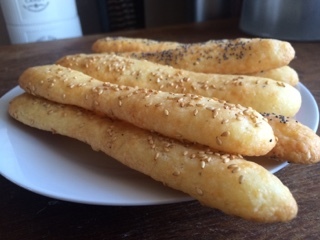 Roll dough into balls and Roll bals out into long thiny sticks with your hands. Place on lined sheet. 4. 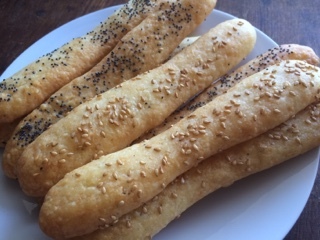 Season the Sticks with sesame seeds and poppy seeds. 5. 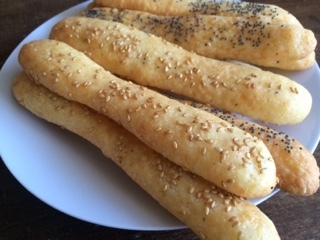 Place in preheated oven and bake until golden brown for about 10 to 15 minutes.